Kenyan media personality Oga Obinna was once a street urchin after falling out with his father about nine years ago. 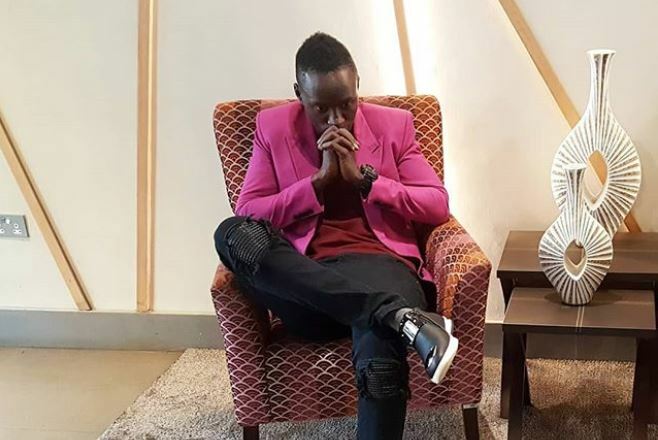 The popular comedian made the revelation during an interview at Radio Jambo. “I used to have issues with my dad. I think I used to be a rude kid that is what he says. Growing up he used to encourage me to be like my brother and nowadays he asks my elder brother to be like me,” he told Massawe. “I would even think he was not my real father. We did not agree and so I ran away from home and came to Nairobi, where I became a street boy in 2009 for one month,” Obinna added. The emcee, who doubles up as a musician, went on to live with some friends and do acting jobs to pay for his school fees. “I am doing well, and that is why I am now fine with my dad. I joined Eastleigh High School and lied to the school that I was an orphan so they could admit me,” Obinna said. Obinna is now one of the top earners in showbiz as evidenced by his car-buying spree this year. His most recent was about a fortnight ago when he bought his baby mama a Toyota Passo worth Sh750, 000 as a birthday gift. “She is the mother of my baby and that means she is special to me. She is a very kind and honest person,” Obinna said. On if he is planning to marry her, Obinna revealed that he is not going to marry this year as he had earlier indicated. He is also not a big fan of white weddings. “I’m not a champion for big weddings although I’m an emcee. People put millions into such events, then you find them a month or two later not together,” Obinna explained. “I would prefer paying the bride price then we go to the Attorney General (for a civil wedding). It would save us the cost. I would rather use that money to do other things like buying another car,” he added.